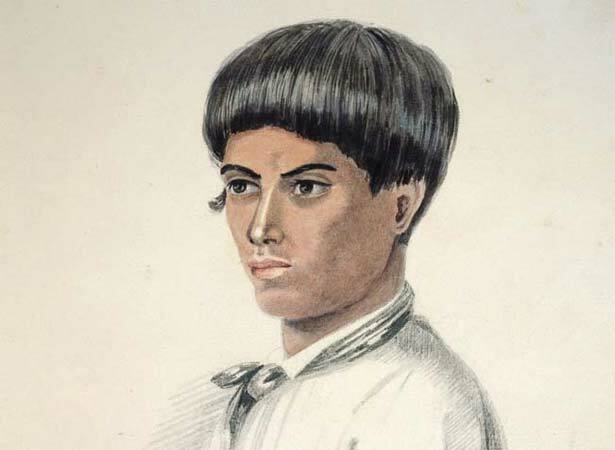 Maketū Wharetōtara, the 17-year-old son of the Ngāpuhi chief Ruhe of Waimate, was the first person to be officially executed in New Zealand. In November 1841 he had killed five people at Motuarohia in the Bay of Islands: farm worker Thomas Bull, Elizabeth Roberton and her two children, and Isabella Brind, the granddaughter of the Ngāpuhi leader Rewa. Maketū had worked with Bull on a farm owned by Roberton, who was a widow. He killed them because he believed they had offended his mana. Bull had been verbally and physically abusive towards Maketū, and Roberton had sworn at him. Maketū did not explain why he had killed Roberton’s two children and Isabella. It was perhaps this last killing that sealed his fate. As local settlers feared the killings were the start of something bigger, Maketū sought refuge in his father’s village. The police magistrate at Russell, Thomas Beckham, refused to act for fear of provoking Maketū’s kin. To avoid a possible war with Rewa, Ruhe surrendered his son. With the exception of Hōne Heke, other Ngāpuhi leaders distanced themselves from Maketū, perhaps fearing a wider response from the Pākehā authorities. The government at Auckland was asked to prevent Maketū from returning to the north. Beckham’s initial reaction exemplified the feeling of many Europeans that, as they were still in the minority, they should tread carefully in imposing British authority on Māori. The case was hailed by some European observers as a significant turning point, a triumph of British law and order and an acceptance by Māori of British jurisdiction in affairs involving both races. Ruhe would not have seen his actions in this light. Maketū was hanged at the corner of Queen and Victoria streets in Auckland. We have 14 biographies, 6 articles, related to New Zealand's first official execution.